Over the last 10 years of me being in the fitness industry and teaching group fitness classes I have always been taught, and taught others, to be mentally strong. When the squats and lunges start to burn you just need to dig deeper, find your strength from within, and keep going. But recently God has been shifting my perspective on that and I want to share with you a few things he is speaking to me. 1. He is our source of strength. God created us to be strong. He is a strong God and we were created in His image. He did not create weaklings. However, in order to tap into our strength we must first tap into Him. If we use ourselves, and others around us, as our standard of measurement for strength we will be disappointed every time. You and I were not created the same so nothing good will every come from me measuring how strong I am against you, and vice versa. We will be disappointed every time and will miss the strength God has given to us. 2. He never intended for us to carry the burden of being physically fit. Have you ever noticed how much shame and stress comes with the idea of being physically fit? We either feel shame because of our lack of strength(in comparison to those around us) or we feel stress and pressure to maintain the strength that we achieved on our own. Being physically fit is a blessing from God but it won't feel that way if we don't allow him in our journey. If we do it on our own there are only two options: we either feel ashamed that we can't do more OR we feel prideful that we are able to achieve so much. 3. God cares more about our heart than our six pack abs. No, six pack abs aren't of the devil(believe me this momma would love to have some again after having 3 kiddos)! However, the enemy can get us to focus so much on losing weight and looking exactly like the woman next to us(or on tv) that we forget to ask God what His best is for our body and life. God has called each of us to different things in life and we each will need different bodies and strengths to achieve that destiny. Our bodies are a temple of the Holy Spirit and we do need to take care of them but we must be sure to ask God what that looks like for us. As I was running and being powered by the words of those songs I have never felt the Holy Spirit so strong in my workout. I am excited to see where God takes me as I let go of me and give EVERY area of my life to him. Will you join me? P.S. God is stirring my heart about combing my training in the fitness industry with my knowledge of His word which by starting a christian boot camp. 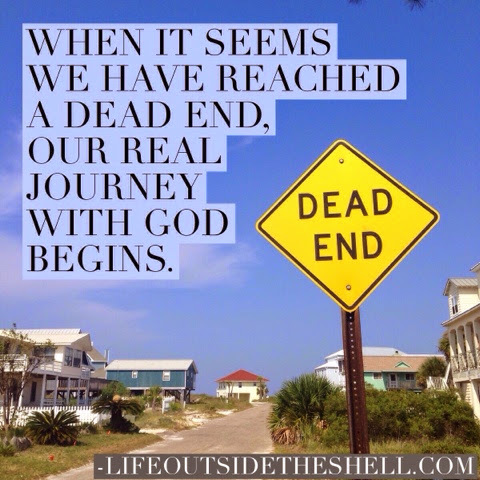 Will you pray with me about wisdom in moving forward in that in His timing? I would love for it to be called "2 Timothy Training"....for God did not give us a spirit of fear or timidity when it comes to being physically and spiritually fit! I just came across your blog via Single Matters and have already fallen in love with this site! Your words in this post though have really resonated with me as I too have just started running. (I'm so new at running you couldn't even call me a newbie!) Anyways, your encouragement has really struck a chord within me as I too have found that God spoke similar things in my own heart. Drawing my strength from Him is key when it comes to running as I find I get tired very easily. 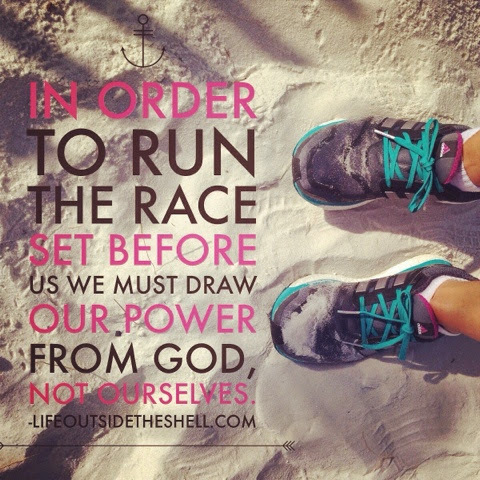 It's through His strength we can run the race! I hope and pray you get wisdom and guidance about the Christian boot camp. One thing is certain, you will have a sister in Christ supporting you %100!